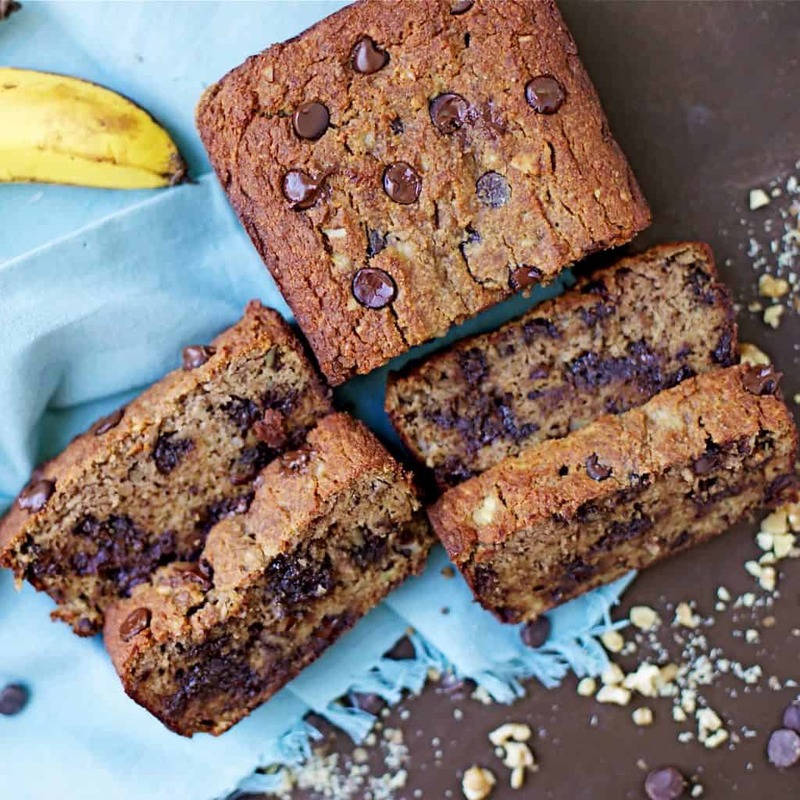 Everyone will absolutely love this Chocolate Chip Banana Bread! 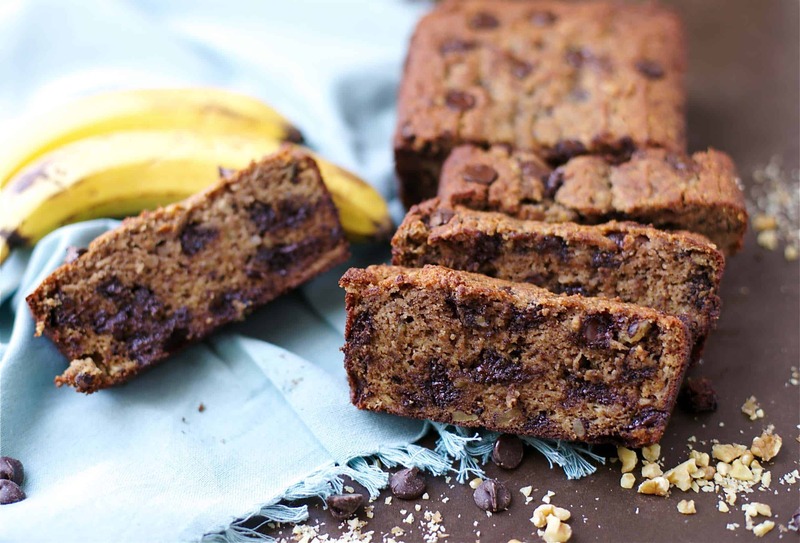 This moist banana bread is so good that you can’t even tell it’s refined sugar free, grain-free, and Paleo! I would just like to announce that this Banana Bread has been made 3 times this past week because no one can keep their hands off! Including me!!! 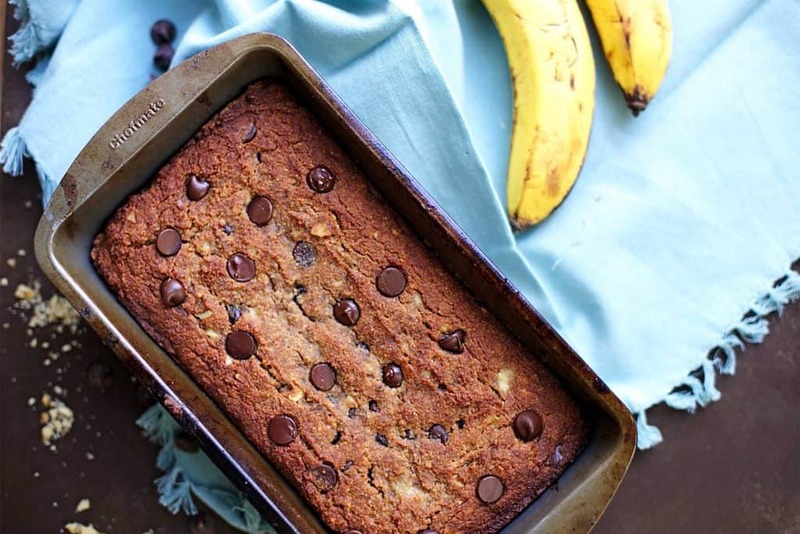 I never knew I was such a fan of banana bread…. well I wasn’t really, but that all changed when this chocolate chip variation entered my life………. Things will never be the same! I am OBSESSED. Like drinking a cup of tea and enjoying another slice right as-I-type-this obsessed. And let me tell you, I have had my share of banana bread, full of sugar, white flour, and all that jazz. This one is far superior. So if you have any people in your life who aren’t quite on board the Paleo or grain-free train, I suggest you change their minds with this banana bread. My girlfriend was over this afternoon, and I shared with her a nice big slice. 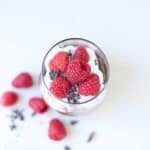 She was obsessed too, and could care less if the recipe was grain-free, but immediately wanted the recipe. I also love that it’s super easy to whip up. No mixers, just simple ingredients. 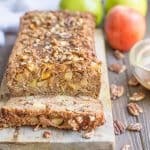 The first time I made this was without the walnuts, and while it was still very tasty, I like it better with the walnuts. Also, the second time I got a leeeeetle carried away with the chocolate chips. 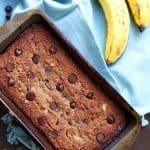 I used 3/4 cup, but I think if you want a nice balance of chocolate/banana, 2/3 is the best ratio. 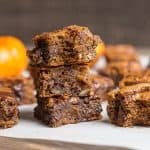 I used Enjoy Life Chocolate Chips which are dairy-free and Paleo, but feel free to chop your favorite chocolate into chunks, or use your own personal favorite brand. Preheat your oven to 350 degrees. Grease a 9x5 loaf pan, you can also add parchment paper for easier clean up and release of the bread. In a smaller bowl, whisk the eggs, and add in wet ingredients: bananas, coconut oil, maple syrup. Fold wet ingredients into dry and mix with a spoon until all the dry pockets are gone. Now add in chocolate chips and walnuts (if using). Batter will be thick. Spoon batter into your loaf pan. Even out the top with a spatula. Place inside the oven and bake for 50-55 minutes, or until top is browned and a toothpick inserted in the middle comes out clean. Remove from oven and let sit to cool for at least 10 minutes before removing from pan. If not using parchment paper, run a knife along the sides before attempting to remove bread from the pan. I made this bread with a few modifications: agave and honey instead of maple syrup (didn’t have it) and no cinnamon. It came out exactly delicious. It’s always a challenging to get the right texture when using almond or coconut flour. 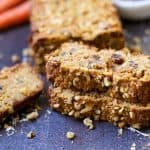 This cake/bread had a wonderful texture–like pound cake with a little bit of pudding. Thank you for sharing! Forgot to add my rating. 5 stars! A coworker made this for our office and it’s OUTSTANDING!